Disney says: IT'S HIS KNEE! Some of them are BEACH BUMS, and others are BEACH DONNGS !!!! 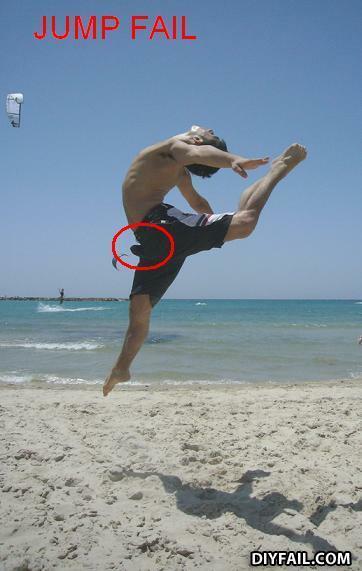 If I had seen this picture without the red circle, it would have gone something like this: "Oh wow, that's a pretty cool pose, he has very nice form, and he- OH DEAR JESUS WHAT IS THAT?" that's clearly photoshop.... does any one else notice the umm.... CAR DOOR THING IN THE TOP LEFT CORNER?!?!? !